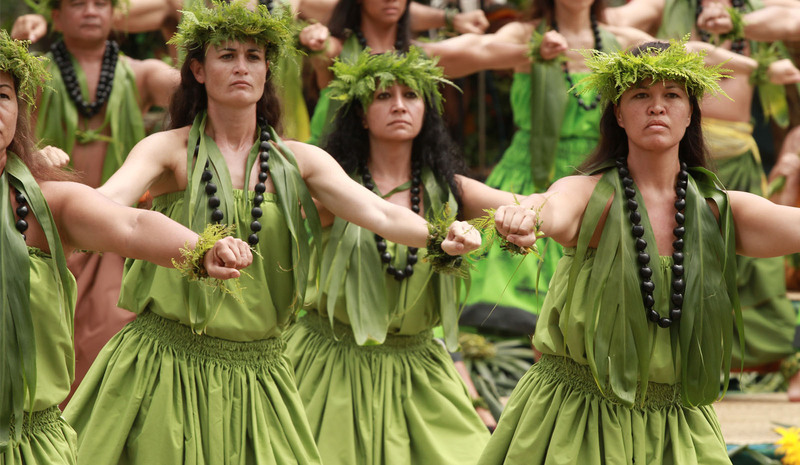 Nā Pu‘uwai, the Native Hawaiian Health Care System that serves Lāna‘i and Molokai, including Kalaupapa, is launching a pilot program to help kūpuna remain healthy in their own homes. Called KAPA—Kūpuna Aging in Place with Assistance—this locally adapted program is modelled after an aging-in-place program developed by practitioners at Johns Hopkins University called CAPABLE. The program partners nurses, occupational therapists and home repair persons to address the needs of elders within their homes. It has proven effective in preventing falls, improving mobility, and raising other health outcomes, while decreasing medical costs among older adults. CAPABLE is an evidence-based program approved by the National Council on Aging that has been tested in multiple small and large trials, each showing that participants enjoy better function with lower hospital admission rates and decreased nursing home admission rates. In-home care is a lower-cost alternative to being admitted to the hospital or skilled nursing facility. For kūpuna on Lāna‘i and Molokai, aging-in-place programs can keep them well and at home, without moving them to off-island care facilities. 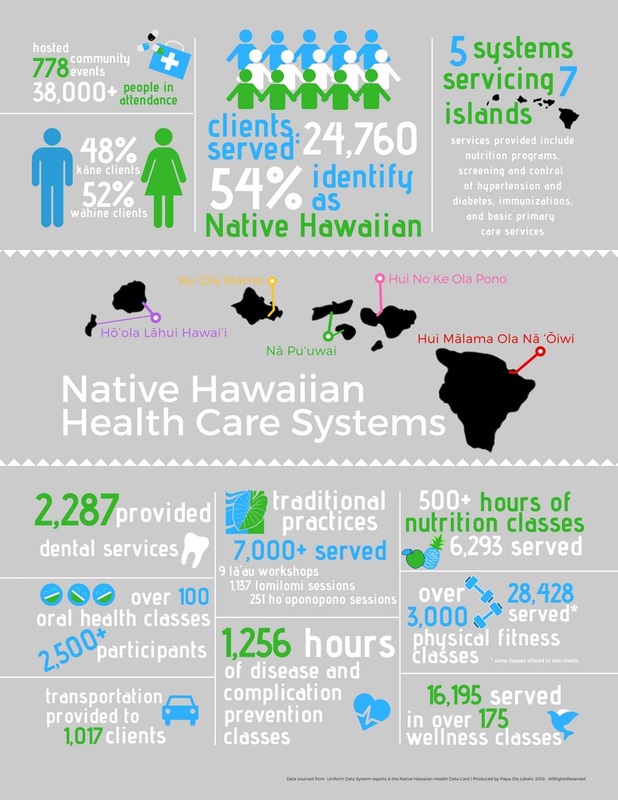 Nā Pu‘uwai serves a total of 2,672 individuals who are age 65 or older through its various programs on the two islands. The program is designed to serve those who are older adults age 50 and above but will serve those of any age who may have difficulty performing Activities of Daily Living such as bathing, dressing, grooming; and those who do not have dementia or only have mild cognitive impairment. "Think of an old-style kapa that creates a cape over the kupuna that we love," says Farrar, explaining the kaona of the program's name. "It honors and protects them." Training KAPA staff will begin in October 2018. 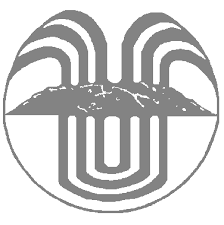 More information about the services and programs offered by Nā Pu‘uwai can be found here. 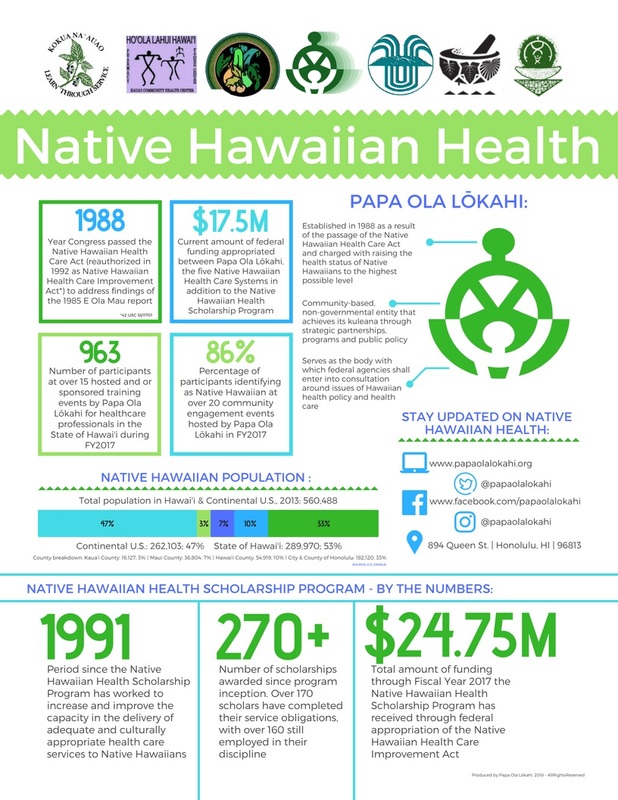 Learn more about all five Native Hawaiian Health Care Systems on the map here. AUDIO. Kupuna Care Program…, Hawaii Public Radio, September 5, 2018. 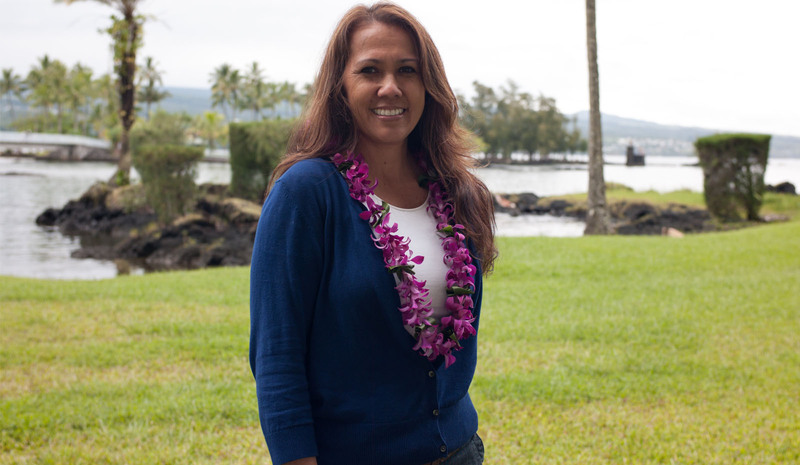 Hear this interview with Nā Pu‘uwai executive director Kamahanahōkūlani Farrar. Papa Ola Lōkahi executive director Sheri-Ann Daniels and the directors of the five Native Hawaiian Health Care Systems are monitoring Hurricane Lane. We are all taking precautions to assure our clients, patients, and employees are safe, and facilities are secured. The cone generated by the projected path of Lane indicates all islands will be impacted from Thursday though Saturday. Expect to experience intense showers and thunderstorms, flooding and high surf. There is a high likelihood that we will all see winds of 40 MPH or higher. A HURRICANE WARNING is currently in effect for the Island of Hawai‘i and Maui County, which includes Molokai, Lāna‘i and Kaho‘olawe. A HURRICANE WATCH is in effect for O‘ahu and Kaua‘i. By Thursday, Papa Ola Lōkahi will be closed. Hawai‘i Island has already cancelled its classes around the island, and the other NHHCSs are expected to announce adjusted hours for the rest of the week. Please check their respective websites for updates. Your county office of civil defense will have a list of the emergency shelters on each island. 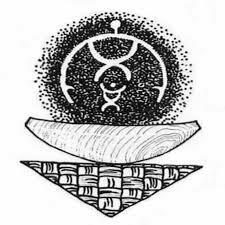 Be safe, stay informed, kōkua one another. 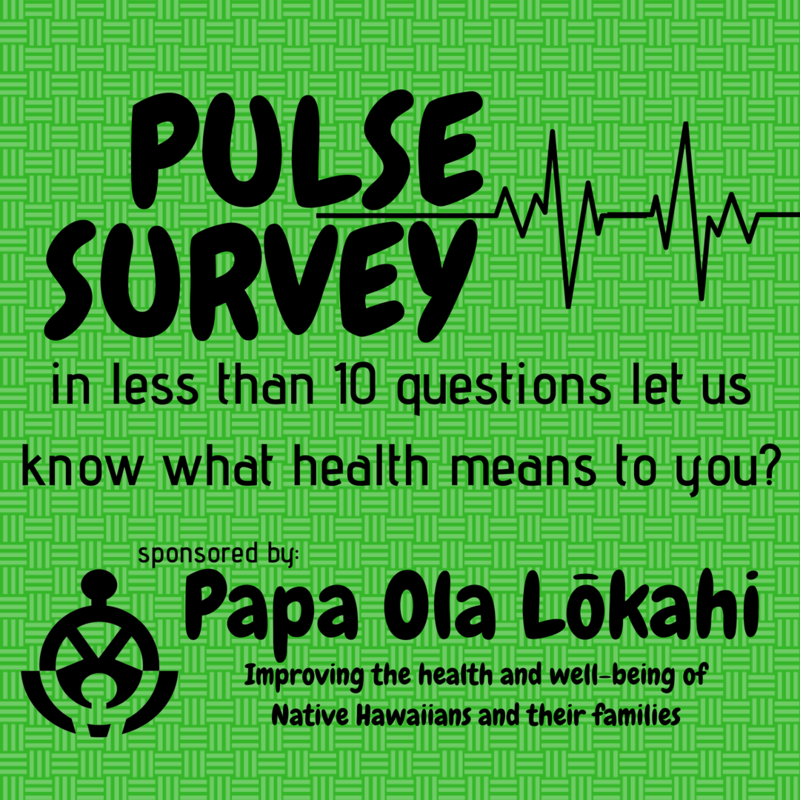 Papa Ola Lōkahi is pleased to announce the Pulse Survey as a means to better listen to and understand how our community members view health. 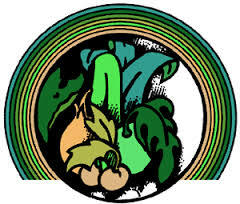 Papa Ola Lōkahi is committed to conducting excellent practice and promoting quality care. 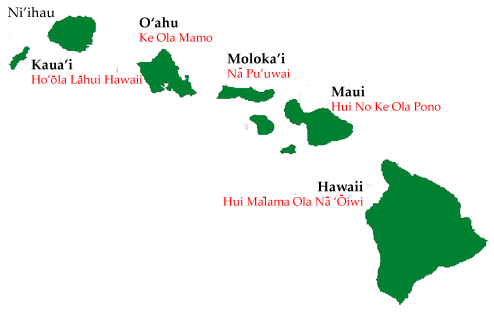 This survey, designed to field community perspectives, is conducted every other year in order to better align Papa Ola Lōkahi’s practice with current community values and needs. 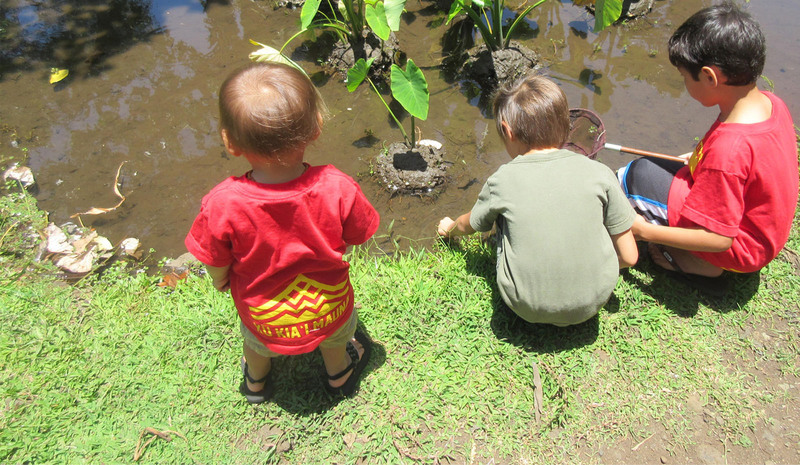 Your feedback will serve as a valuable resource used to foster the development of relevant programs and services that will lead to continued, meaningful well-being within our Native Hawaiian communities.